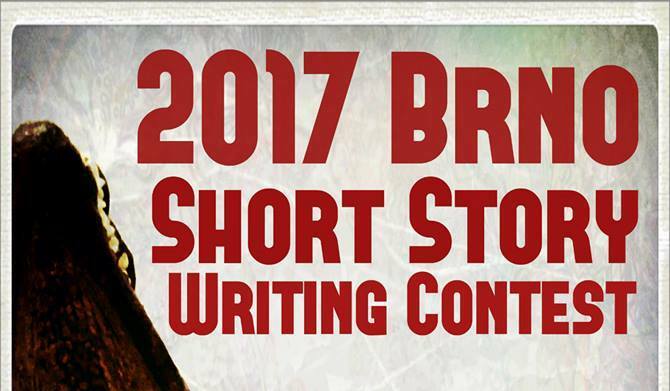 The winner of The 2017 Brno Short Story Writing Contest is Adam Sweet (USA) and his New Year’s Evey. The story about dealing with the loss of a loved one earns the top prize: 6,000 CZK. After a first round of selection, five judges – Simon Mawer, Don Sparling, Lee Adams, Tomáš Kačer, and Anna Formánková – read the stories by the eleven finalists, with the four locals then discussing the top stories for over 90 minutes before deciding on winners. New Year’s Evey was considered far above the rest. “A truly outstanding piece. A powerfully emotive interior monologue with a strong and poetic evocation of place. The command of language is excellent and the consequent narrative entirely convincing,” said the author of The Glass Room Simon Mawer. Kuba’s Rotation by Theo Singleton (UK) comes second (2,000 CZK), Dark Horse by Maja Vusilović (Croatia) is third (1,000 CZK). Eight additional stories were awarded honorable mention. The contest, supported by the Brno Expat Centre, attracted 87 entries. All of the award-winning stories and most of the also ran entries are available online. “I was shocked to see 87 entries. I thought 40 was the absolute extreme and I would have been very satisfied with 30. The final weekend and the final day was crazy because new stories were constantly coming in. It goes to show that people are interested in being creative,” said contest co-organizer Bruno Zalubil. The contest was promoted heavily through Facebook, Brno Expat Centre, Masaryk University, Moravian Library, and the international companies in Brno. Mr Zalubil, who is an English teacher, also created a lesson for how to write a short story and gave it at a number of high schools. The youngest entrant was 12 years old, the oldest 65. As far as nationalities are concerned, it was basically 50-50 for Czech and foreigners. Are you interested in improving your writing skills? The Brno Writers Group will hold its next meeting at The Immigrant (Veveří 57) on Wednesday, June 21 at 6 p.m. Come and meet the first and second place winners as the group gets moving forward – hopefully with a lot of constructive criticism and helpful motivation for everyone interested in improving their writing. “I was genuinely shocked to learn that I had won the contest,” says Adam Sweet (36) from California, USA. How long have you lived in Brno and what do you do? I’ve lived here for about 3 years and I currently work in the customer care department of a large international telecom company. How did you learn about the competition and what made you enter? I first learned about the contest from the Brno Expat Center newsletter when it was announced in February. I had been wanting to do more fiction writing but had been rather lazy about it, so this contest was the perfect motivation to actually sit down and get a story down on paper. Do you have much experience with writing? While fiction writing is something I have very little experience with, I spent around 5 years as a part-time freelance content writer. It was mostly things online like blogs, SEO articles, reviews, web content, etc. I’ve also played around with writing humor and short stories, but not really pursued it seriously. How long did it take you to create New Year’s Evey? Not long after hearing about the contest I wrote a first draft of the story and basically hated it. So I didn’t actually write anything for about a month while just developing the story in my head. When I finally figured out where I wanted the story to go I spent about two days writing a complete draft, then another two weeks or so editing and proofreading it for a few minutes each day. Did you think you stood a good chance of winning? Since I do have experience with writing and had no idea how many people would enter, I initially felt that I had a good chance of at least getting an honorable mention, if not one of the winning spots. However, when I found out that there were 87 entries my optimism faded a bit so I was genuinely shocked to learn that I had won the contest. What are you going to the with the prize money? I’m getting married this summer, so my fiance and I are planning to use the money to do something fun on our honeymoon.